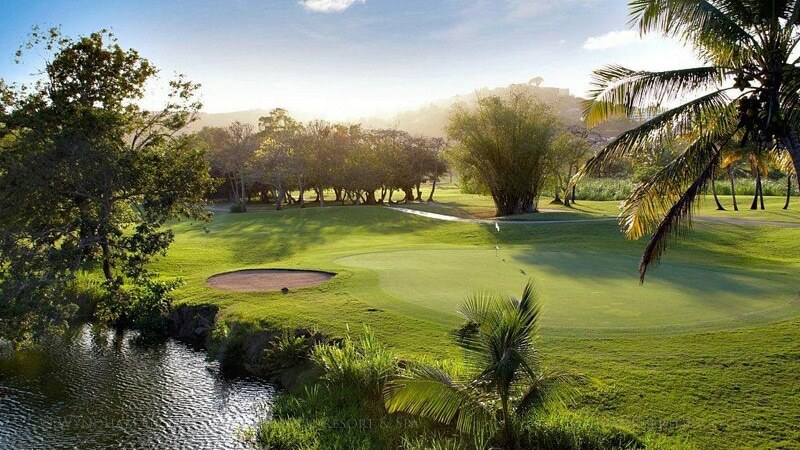 How often do you get to golf next to the Atlantic Ocean, in the shadow of majestic mountains, near rivers and lagoons with the breeze blowing palm trees all around you? If you’re traveling to San Juan, Puerto Rico, you can experience golfing like never before. 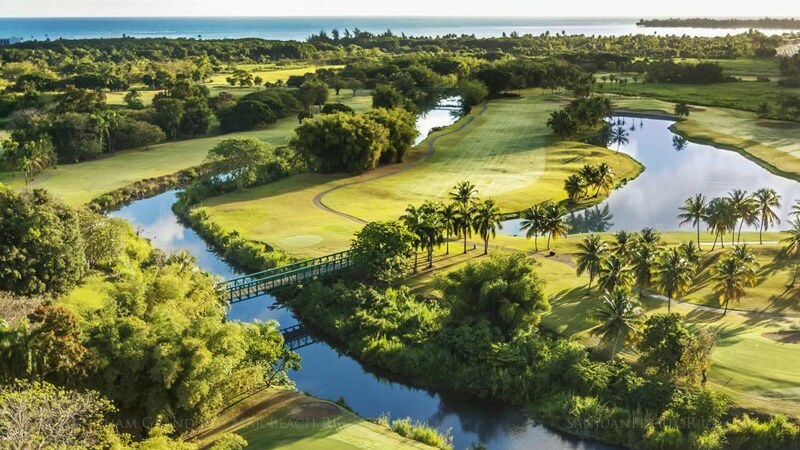 Although there are no public golf courses in San Juan, there are some of the best courses in the Caribbean, open to the public, at beautiful resorts and clubs in the nearby towns of Rio Grande and Fajardo to the east; Dorado to the west; and Bayamon to the south. You can drive from San Juan to most courses in less than an hour. On the other hand, you may choose to stay at one of the resorts listed below instead of in San Juan if golfing is the focus of your trip. Then if you wish, you can drive to San Juan to enjoy the beaches and attractions for a day or two. There are more beautiful courses throughout the island of Puerto Rico, but only the closest 13 are covered below and shown on the map. So either throw your golf gear on the plane or rent clubs at the courses. Either way, you’ll have an unforgettable experience. Choose from 6 golf courses along the eastern coast at some of Puerto Rico’s best beach and golf resorts. 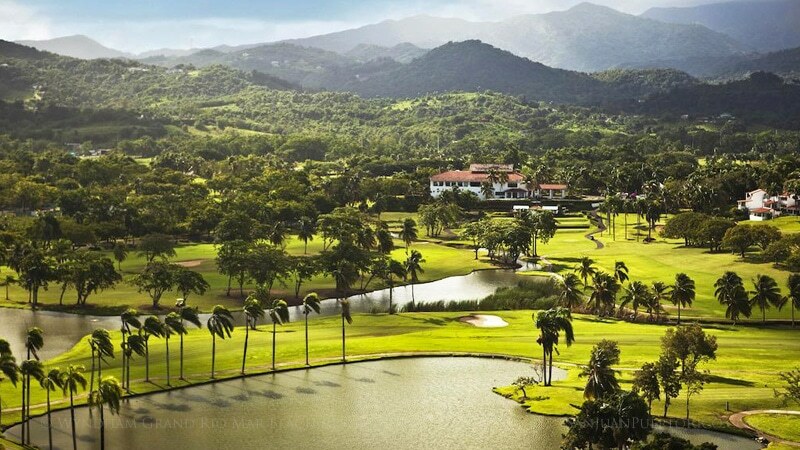 The nearby town of Dorado, Puerto Rico is blessed with 5 amazing golf courses near the Atlantic Ocean. One of the 5 is currently under renovation, one closed in 2014. Designed by Bruce A. Besse, Jr.
14 lakes and a signature "island hole"
9 holes, Par 34, Gold tees 2,546 yds.